When my husband started his own side business last year we started to look for companies to make custom printed t-shirts. We were surprised to find out how expensive it could be so we were very excited to discover Printkeg.com. Printkeg.com is a wonderful way to feature your original artwork or company logo….if you are an artist or designer you are definitely going to want to check out the website…the product line is exceptional! At Printkeg.com we did not have to sacrifice quality to receive budget friendly pricing. There is a large selection of custom printed items to choose from including print flyers, posters, t-shirts, hoodies, sweatshirts and cards. With full color custom printed t-shirts, sweatshirts and hoodies for men and women you are sure to find the perfect shirts for your needs. There are even options for the kids too so this would be a great idea for clubs, sports teams etc. Designing your t-shirt is so easy and prices can be as low as $8 per shirt. There are several different brands to choose from such as Gildan, Hanes, Anvil and Champion which are featured at Printkeg.com. There are even tagless versions for those who prefer not to have a tag like my husband and kids. 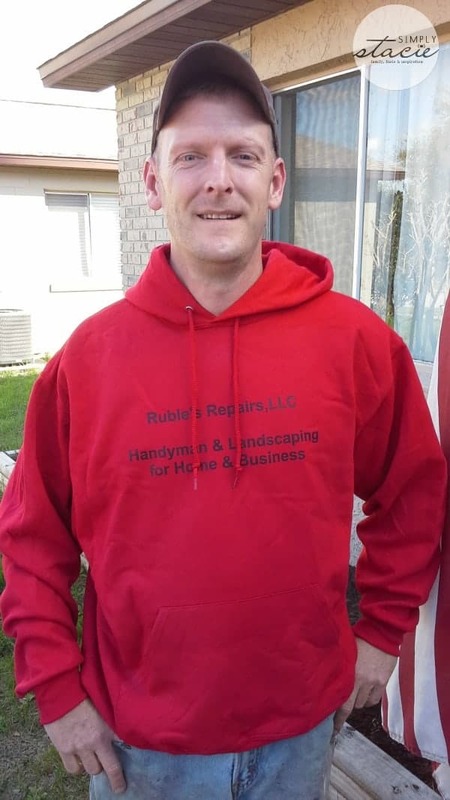 My husband selected the Adult BestTM Hooded Sweatshirt (SRP starting at only $30.99) in a vibrant red color and then added his company information for printing on the front of the shirt. There are sizes for virtually everyone from small to 3XL and the quality is exceptional. The material is very soft and luxurious feeling to the touch and my husband really liked the medium weight which was warm but not too heavy. It is easy to care for and we had very minimal (if any) shrinkage after washing and drying. It is the perfect hooded sweatshirt to wear on the job, for camping, boating, hiking etc. I found the Printkeg.com very user friendly to navigate and ultimately design our custom hooded sweatshirt which can include text and/or your image. My husband (who has been a large scale offset printer for over 23 years) commented that the full color printing was a very nice quality. I also like that you can order exactly what you need from 1 shirt to large quantity orders which will get you discounts up to 40% off! You are invited to visit Printkeg.com to start designing your next custom printed shirt. I am planning to make a special one for my eldest son’s upcoming 9th birthday party. Which design, color and style would be your personal favorite? I love that you can design hoodies!! I like the kiwi-colored Ultra Cotton T-Shirt (Screen Printing). I’d get a V-neck carrebean blue. But if I wanted screen printing, I’d get purple, safety pink, and the one that looks like turquoise. Thanks for the review- I’m always looking for a better way to print shirts for my students! I would really like to design on one of their vneck tees. thanks for sharing this site. I like the hoodies that they carry. I will probably get a v neck shirt. I would get a red v-neck to support my husband’s drag racing! I would select the Ladies V-neck t-shirt in blue. I would probably want a screen print of the picture my daughter painted on it. I liked the Anvil Ringer T-Shirt. I would use the Hanes Tagless Cotton T-Shirt! i like the hoodies too. i am tony l smoaks on rafflecopter. I would get a t-shirt with the name of the high school where I work on it. I would design a t-shirt for my store. I would design an Anvil Classic T-Shirt. I would probably design a shirt for my Dad’s Business or a shirt for my boyfriend. I learned that PrintKEG was founded in 2008.